Agri Commodity trading is closed today. Guar began trading again today. Guar gum and guar seed in early trading on the MCX has appeared to decline 3 per cent to 2 per cent guar gum and guar seed closed. NCDEX Guar seed and guar gum also slipped more than one percent. NCDEX mustard and mustard also declined 0.4 per cent to close. Soybeans closed at flat level. Was 0.5 per cent in Soya oil MCX CPO was dropped by 0.7 per cent today? NCDEX Chana small edge close. However, Castor Seed rose 2.5 percent. Was 0.75 per cent in barley China also rose nearly 1 per cent. There was a strong light in wheat Potato up 1.5 per cent. Spices mixed trend. NCDEX Cumin 1 percent broken. Pepper also shows pressure. Turmeric and red pepper was strongly However, coriander, rose 2.5 percent. ~ All trader and Investors Can go buying side in soya bean on tomorrow. Targets keep near to 4000 Rs. 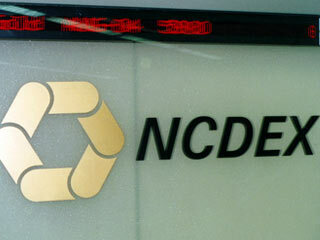 ~ NCDEX Metahaoil profits at higher levels on tomorrow. ~ CPO May Futures Buy - 469, stop loss - 466 TGT – 476.